Partnership to produce financial well-being command center for Credit Union members. San Diego, CA, January 26, 2017 --(PR.com)-- BCU has selected the award-winning Enrich™ Financial Wellness Platform from iGrad to be the online and mobile centerpiece of BCU’s enhanced Life. Money. You.™ financial education program. The Life. Money. You. microsite will be a financial well-being command center for the 200,000+ BCU members as they pursue their goals. BCU is a pioneer in leveraging innovative technology to deliver the best available financial wellness resources to their members. BCU recently completed a major upgrade to their Mobile Banking experience, and will be rolling out a new Online Banking site to offer greater accessibility via wearable technologies. “Our promise to those we serve is ‘We’ve Got Your Back’ and we believe the Enrich Platform will help us deliver that to our members. Enrich will help us put more of our members on the path to reaching their aspirations,” says Mr. Austin. iGrad has a long-standing commitment to using technology to deliver an effective learning experience, and the platform benefits from a deep source of user data. The interactive platform employs adaptive learning and personalized action plans to maximize engagement, and offers rich resources such as videos, games, and articles. iGrad, a technology-driven financial wellness education company, encompasses two unique and award-winning white-label platforms: iGrad™ and Enrich™, both designed to cover a wide spectrum of money stresses and needs. Both platforms offer a high level of interaction, customization, and adaptive learning technology. iGrad is a three-time winner of Education Program of the Year (The Institute for Financial Literacy), Best Product award for three years running (University Business Magazine), as well as the Outstanding Consumer Information Award (AFCPE). The iGrad platform - for higher education - is established in over 600 schools, empowering students to make wise financial decisions and easing their financial stress. 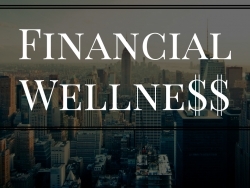 The Enrich platform - for employers and financial institutions - uses a prescriptive approach to develop a personalized financial wellness action plan for every user. BCU is a $2.5 billion full-service, not-for-profit, financial institution providing SEG and community banking to over 200,000 members in all 50 states and Puerto Rico. BCU is noted for setting new standards in bringing together technology and member service in the fast-changing world of financial services. As an organization, BCU is committed to improving members’ financial well-being through the brand promise We’ve Got Your Back. Membership is open to several prestigious employers around the country and those living or working in Chicago-area communities.